Using forty years of evidence-based research as its core, Family Engagement with Education: Strategies for School Social Workers and Educators is the only book written specifically for social workers and social work students who work in partnership with educators. 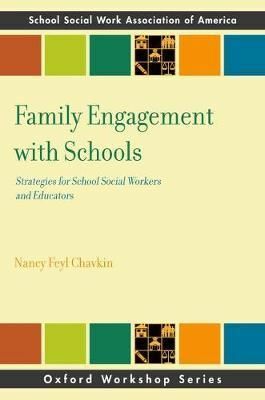 The text helps translate the rich research history about family involvement in education to practical strategies that school social workers can use in their daily practice with families and communities. It also presents the new Dual Capacity-Building Model and explains how, along with other conceptual frameworks, it is essential for school social workers as they design the programs and select the practices that will work best in their schools and communities. Family Engagement with Education is written in user-friendly language with many examples, case vignettes, and tools to guide the process of relationship building and program improvement. It includes the latest resources, toolkits, and related organizations for developing family, school, and community partnerships.